This year the C/C's got to hear from the Prep Staff, both the Enlisted and Officers. Throughout the academic year, the C/C's have had the chance to hear from some of the Prep Staff about their careers and personal life. This helps to give them different perspectives whether it be someone who Enlisted, went ROTC or was an Academy grad - not only on the different career paths that the Prep Staff have had but also insight on what it takes to accomplish those things and what it was like for them. 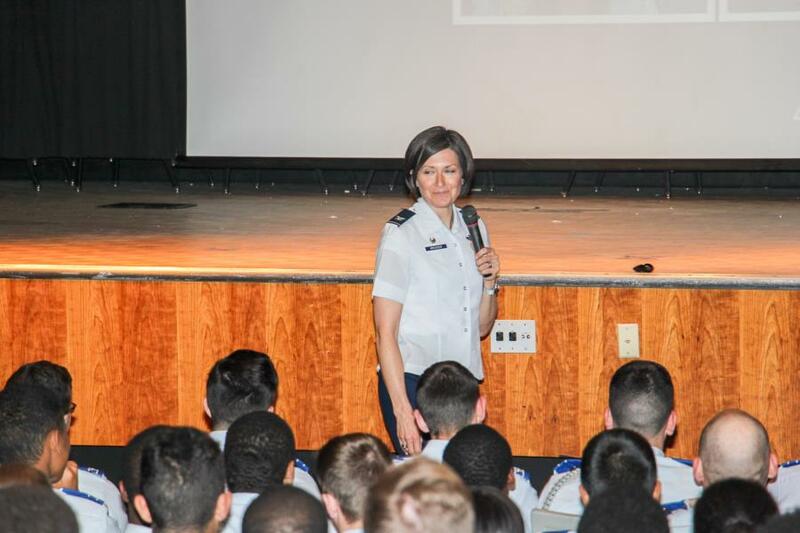 Life In The Military Part 3 features the Prep School Commander, Col Jacqueline Breeden. 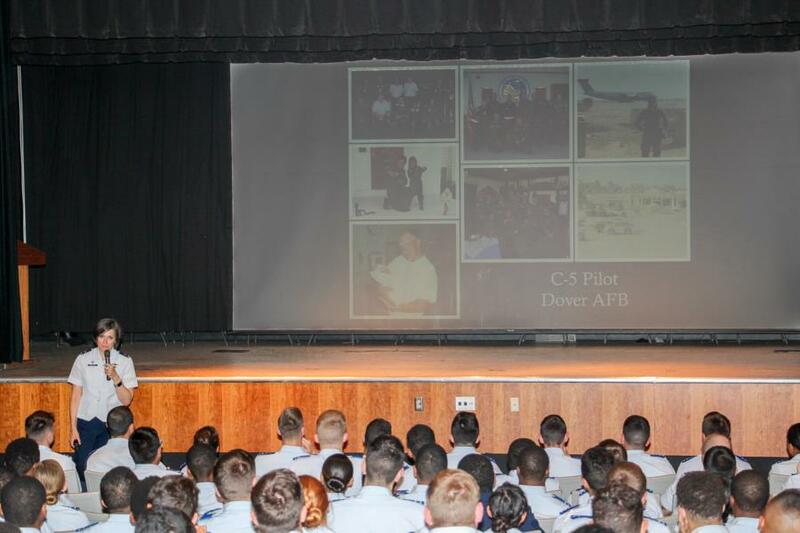 Col Breeden is a '94 Grad from USAFA. Attending Intelligence Officer Training at Goodfellow Air Force Base, Texas and for the first 6 years of her career she served as an Intel Officer. 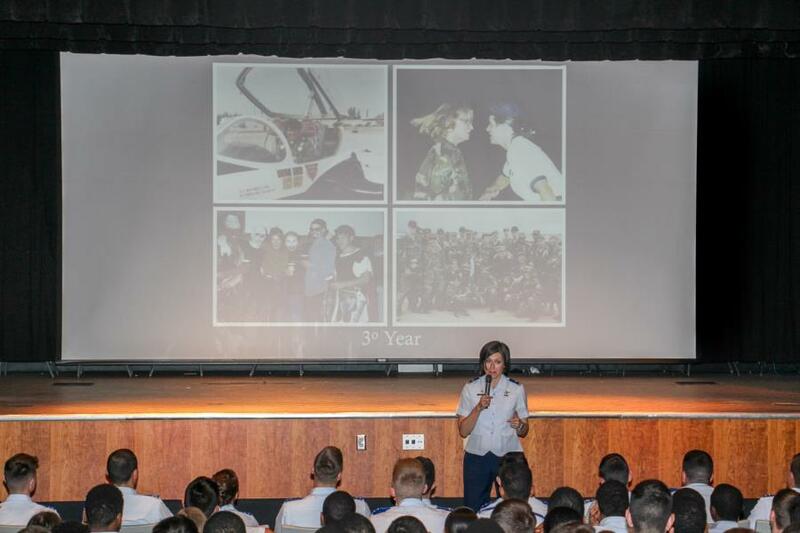 She was selected for the Joint Specialized Undergraduate Pilot Training program at Vance AFB, Oklahoma. Currently she has had over 2,300 flight hours in T-37B, T-1A, and C-5A/B/C/M aircraft. To view the rest of the pictures from our glimpse into these three Prep Staff member's Life In The Military Segments go to; Prep School - Prep Life. Or click the link below.